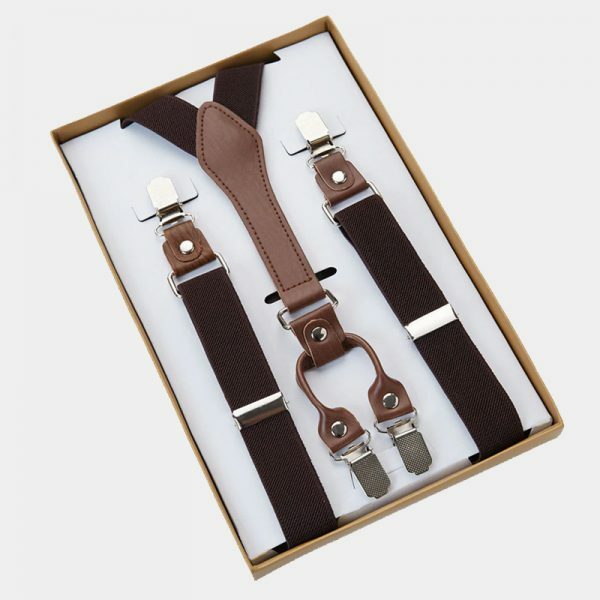 These gentleman’s classic khaki suspenders make a smart and stylish addition to your accessory collection. 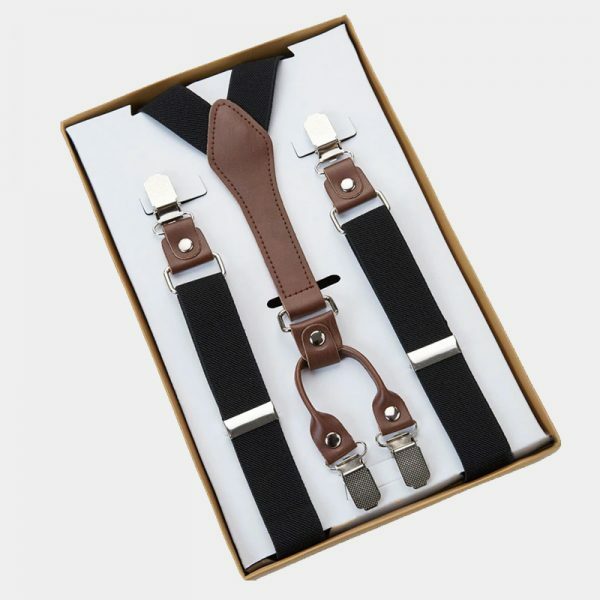 They aren’t just for grandpa anymore and they make a great alternative to a belt. 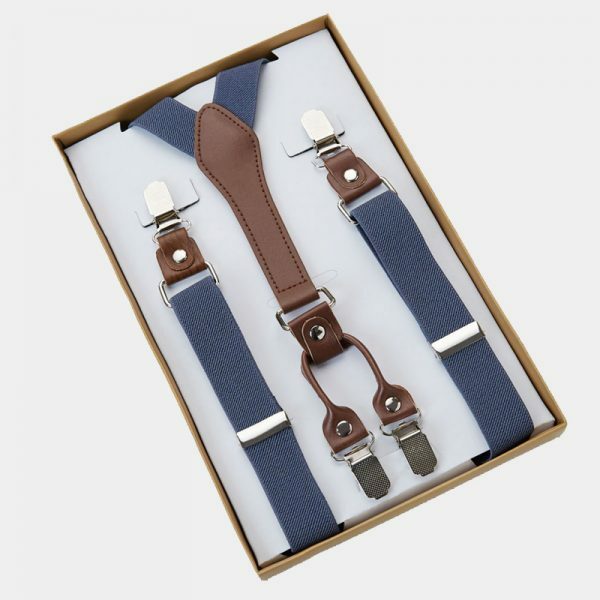 These exceptional suspenders take your look from the basics to best with ease. 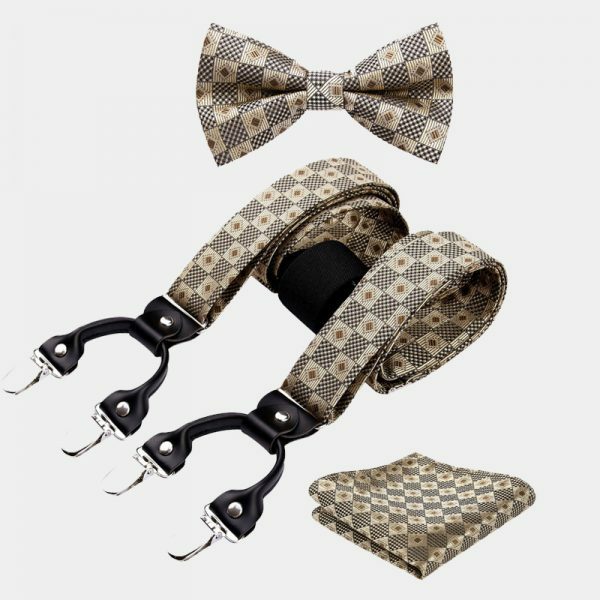 Elevate your business, casual or formal wear looks by incorporating these handsome classic suspenders into your wardrobe. 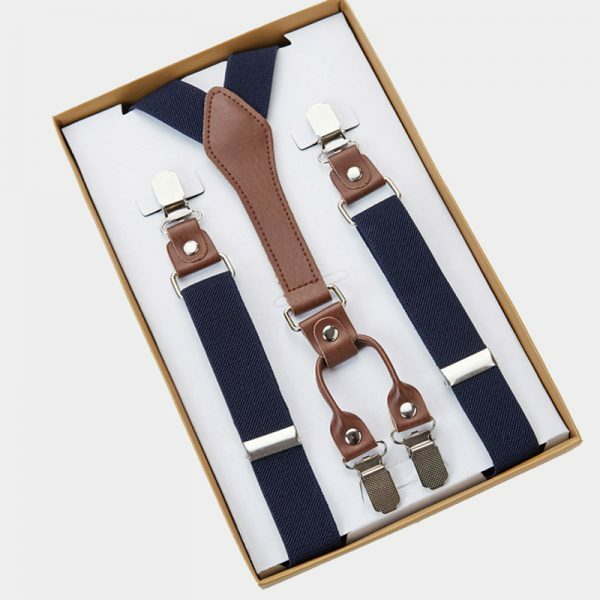 You change up your whole look with these snazzy suspenders and you do it all without emptying your wallet. 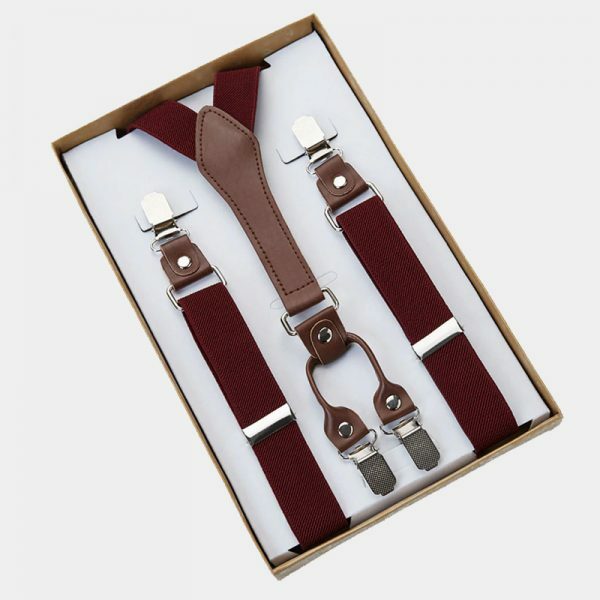 These suspenders are crafted by hand using top-notch materials. 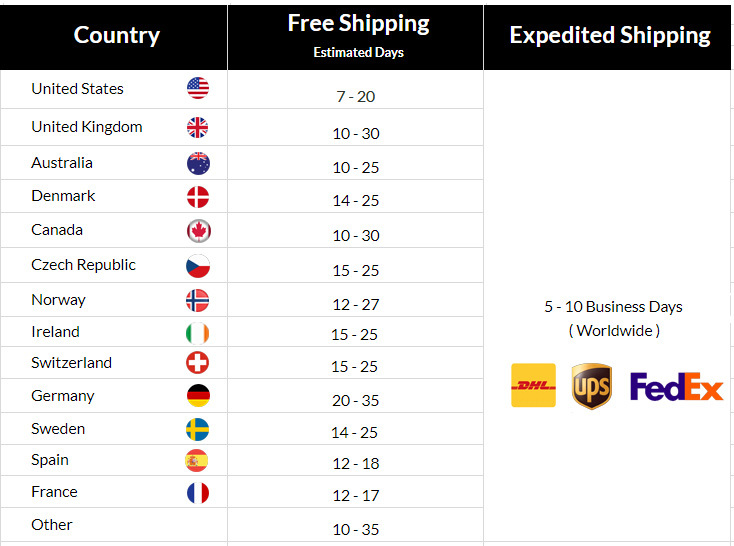 The high-quality elastic material is strong, durable, and does not lose its shape with repeated use. 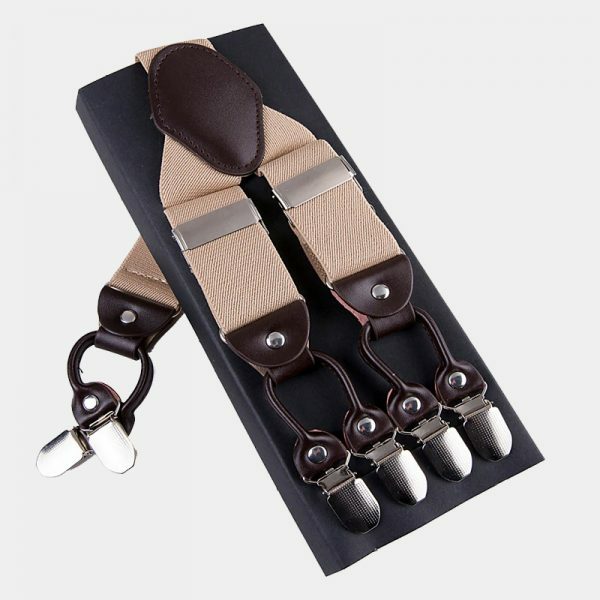 In addition, they also have four solid metal clips that attach firmly to your pants with a no-slip grip. This ensures that they will stay exactly where you put them. 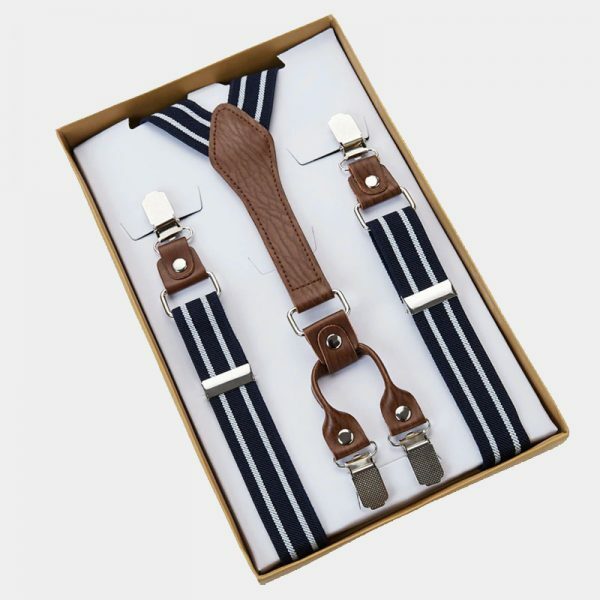 These slimly designed suspenders add class as well as style to anything you pair them with. 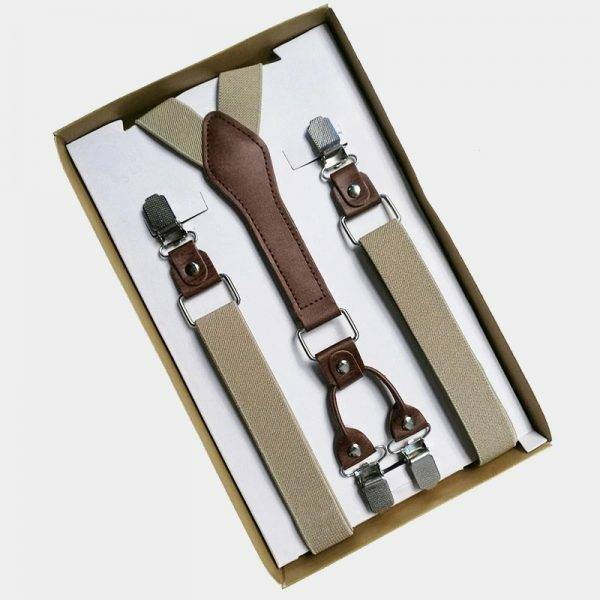 Upgrade your wardrobe with these good-looking and affordable gentlemen’s classic khaki suspenders today.